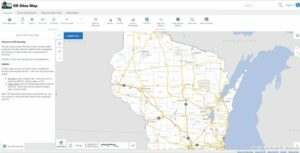 RR Sites Map is the online companion to the DNR’s Remediation and Redevelopment database of known environmental contamination and cleanup cases in Wisconsin. It allows users to find sites visually and geographically, and then drill down into the database for further details, if desired. RR Sites Map is part of the DNR’s Wisconsin Remediation and Redevelopment Database (WRRD), an inter-linked system tracking information on different contaminated land activities. 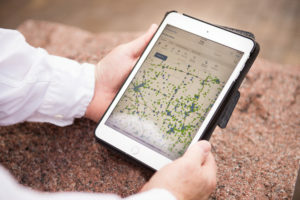 RR Sites Map works on desktop computers, phones, and other mobile devices. It’s a great way to get information about closed and continuing remediation activities. Removed the “GIS Registry” layer group. The term “GIS Registry” was used in the past to refer to sites that were closed with residual contamination. The DNR now uses the term “Continuing Obligations”, along with a list of these obligations in the closure letter, to let the public know residual contamination exists and that some ongoing requirements exist to continue protecting public health. Sites with “Continuing Obligations” now have their own layer. Added the new “Additional Site Information” layer group. This new layer group includes both the new “Continuing Obligations” layer and preexisting “Impacted Another Property” layer, which identifies sites with migrating contamination. Added aerial photos from 2017 to the base maps and image slider tool. Added a “Layer Catalog” button to the data and tasks tab. After clicking the button, select the desired GIS data layers and they will appear in the left-side layers panel along with the default layer options. New layer options include: DNR office locations; private water well locations; dual aquifers; landfills with 1,200-foot buffers; areas where special well casing is required; and other agency data such as soil types, hydric ratings and drainage classes. Let us know how you use RR Sites Map, and please share your suggestions for improvement by emailing them to DNRRRBRRTSFeedback@wisconsin.gov.